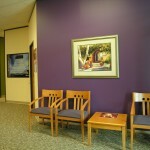 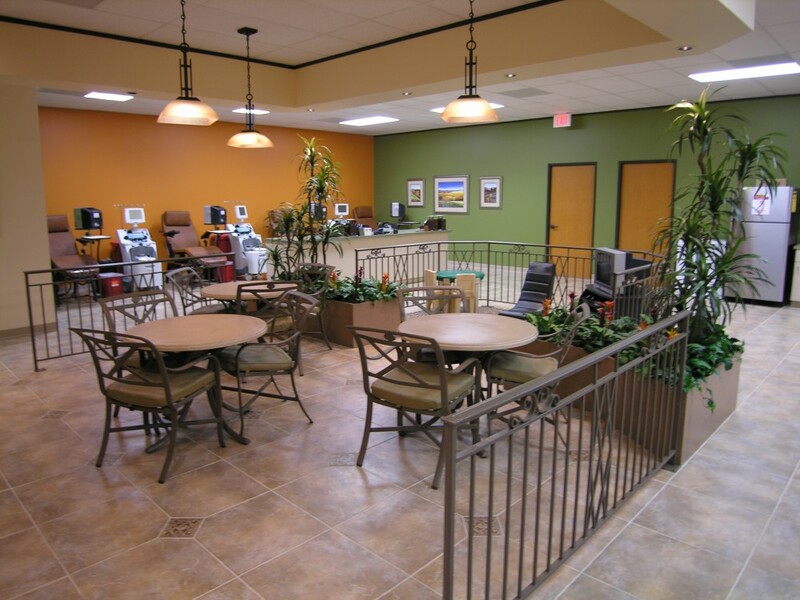 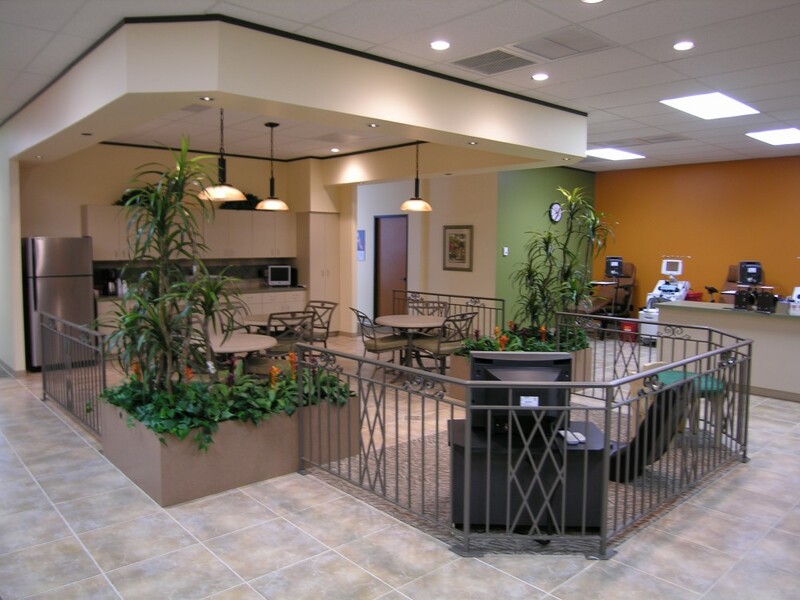 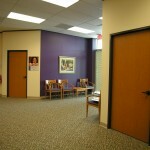 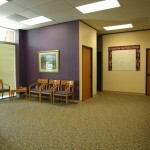 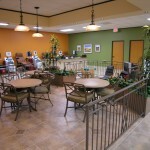 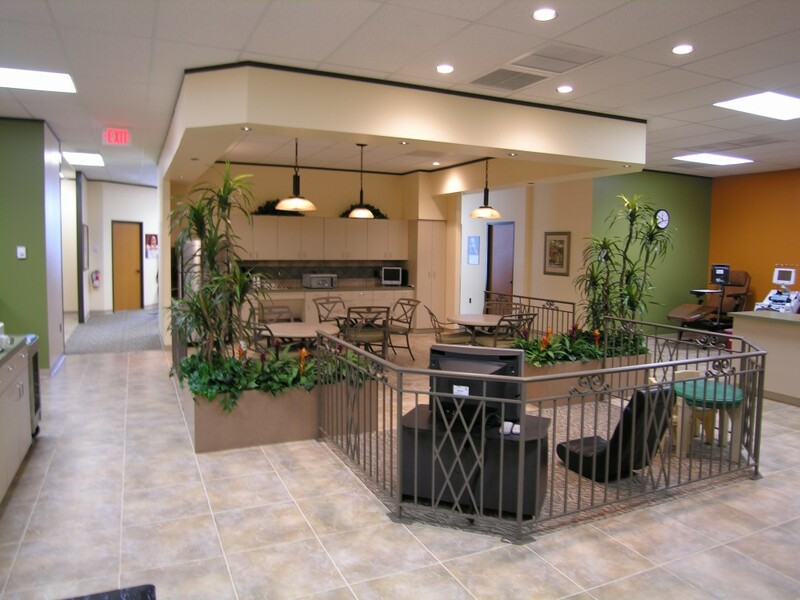 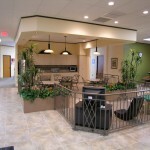 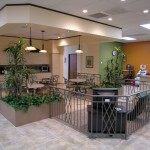 For this healthcare facility (Gulf Coast Reginal Blood Center), Healthcare Interior Designer Houston, Tx, Nancy Kuhn used the wine growing, sun drenched hills of the Tuscan countryside as inspiration for the beautiful colors that welcome visitors, volunteer blood donors, and employees to the GULF COAST REGIONAL BLOOD CENTER. 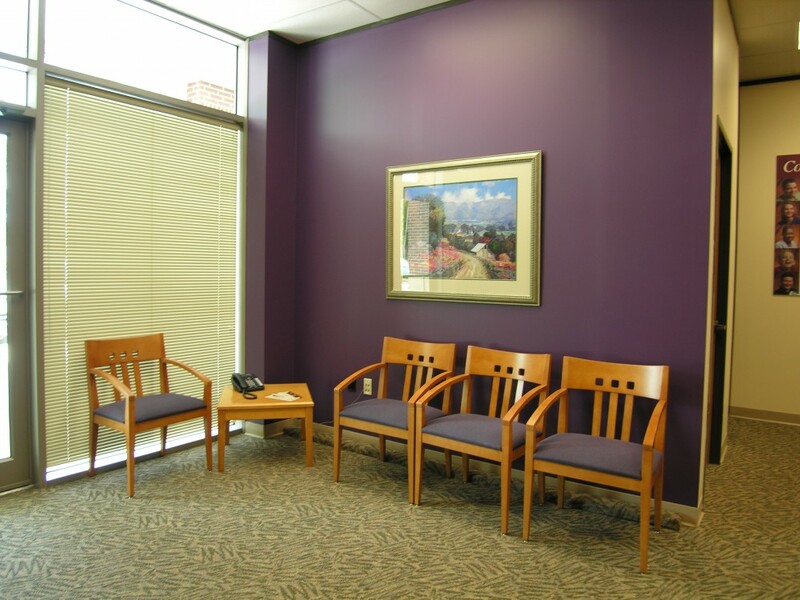 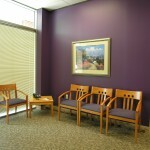 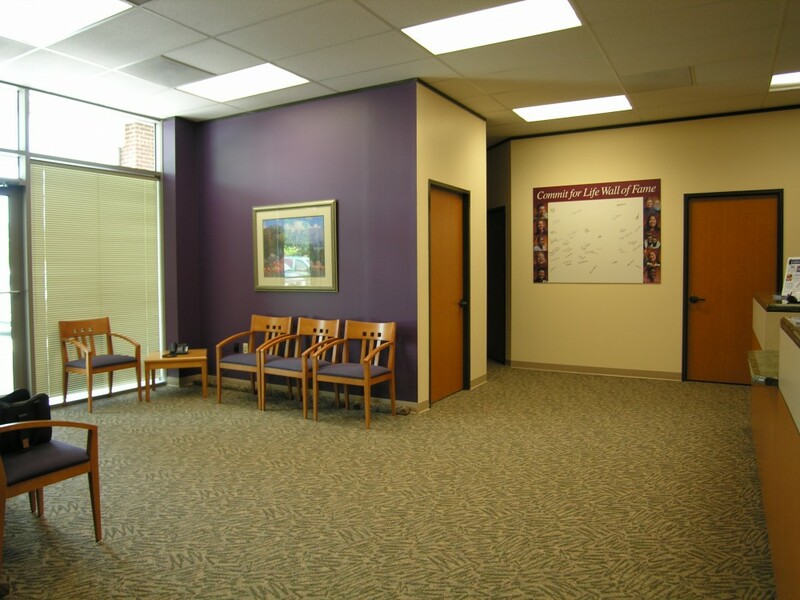 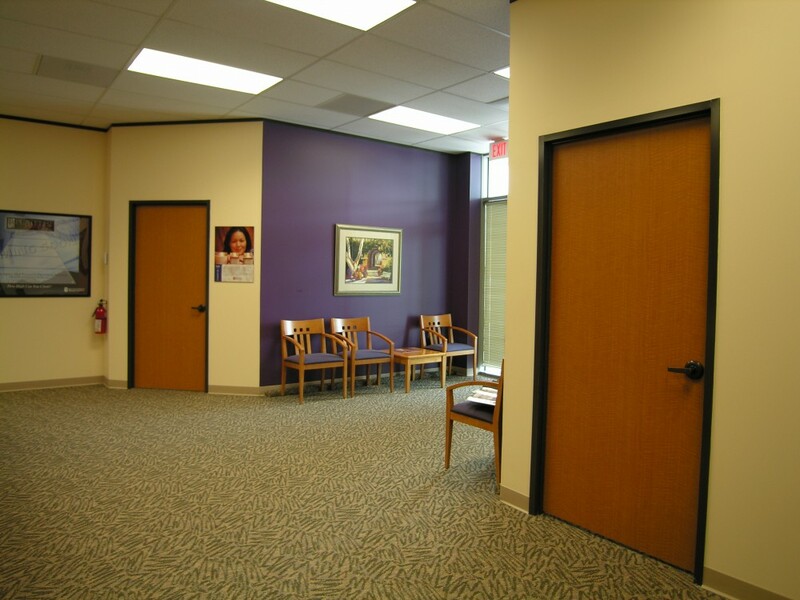 Ms. Kuhn worked with the client to develop the remarkable colors of eggplant, lime, sienna, and golden sunlight to translate the otherwise medical environment into a more therapeutic, less stressful and non-clinical space. 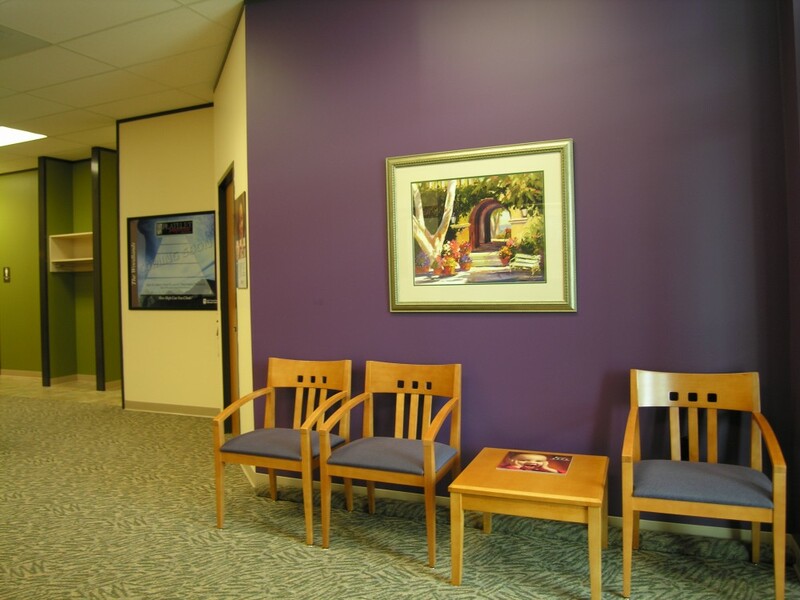 The mood created by the warm color palette reflects the caring attitude of the non-profit organization responsible for the blood supply in Harris County Texas. 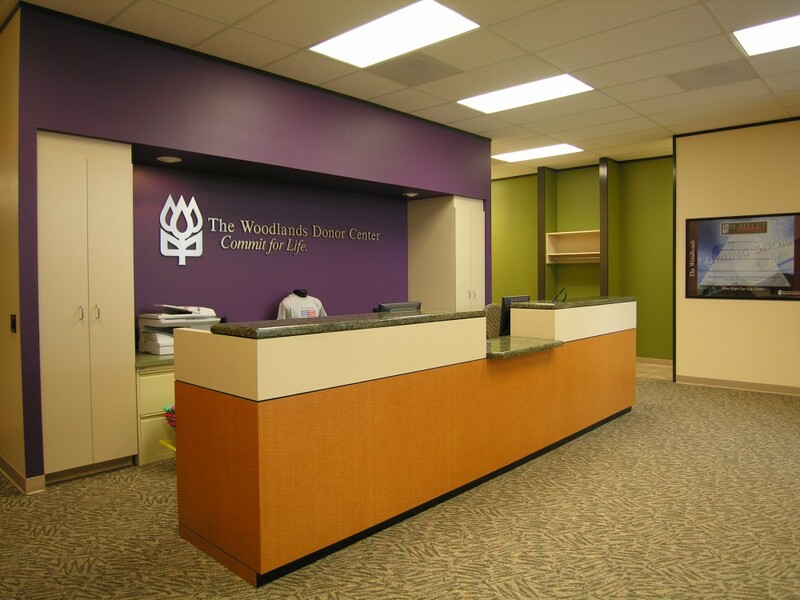 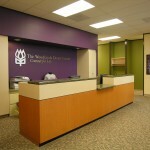 The eye-catching hues were used throughout THE WOODLANDS DONOR CENTER which is the model facility for other centers throughout the Houston/Harris County area. 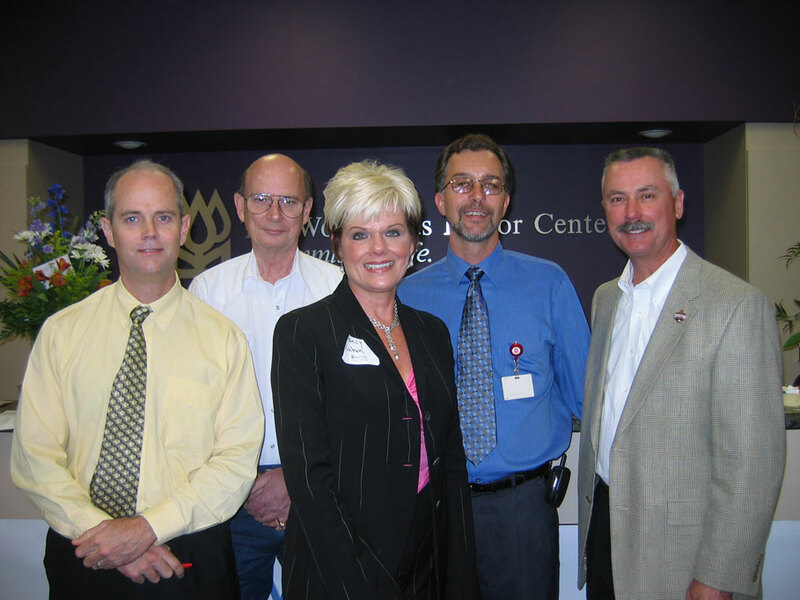 Pictured above: Nate Lewis President Radian Design Architects, James Cunningham President Texas General Construction, Houston Interior Designer Nancy Kuhn – NANCY KUHN DESIGN, Mike Bell Director Building and Fleet Management Gulf Coast Regional Blood Center, Jesse Tollett Jesse J.Tollett & Company Commercial Real Estate.